As all football fans know, when clubs are in rebuilding mode they need to recruit young players. President Neale Fong has gone to extremes in trying to secure a bit of prime genetic stock for a future Falcons flag. Early this month, 6PR morning show host Gareth Parker – a former WAFL umpire – had his first child with American-born wife, Elizabeth. Neale knew that that Gareth’s maternal grandfather, the brilliant Clive Lewington, had coached West Perth in 1964 when we finished just outside the four. The problem with the Falcons making a claim on the baby was that Clive was central to South Fremantle’s golden era in the 1940s and 50s. He played in three Bulldogs premierships, the first in 1947, the year he won the Sandover medal, and also in 1950 when he won the Simpson medal. Clive captained the club from his Sandover season to 1951, the final two of those years as captain-coach. He then retired as a player but remained as coach until 1958, winning premierships in 1952, 1953 and 1954. 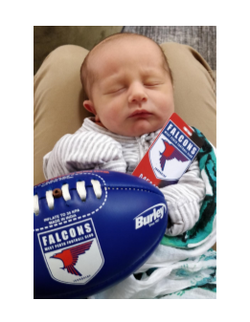 These were just minor details for our president, who immediately arranged with CEO Linda Hamersley to send the Parker baby, named Henry Clive to recognise his grandfather, a club membership and some Falcons gear to give him a good start in life. “My Dad grew up on Canning Highway, Applecross, and is an East Fremantle supporter, and I grew up a Shark, playing in their junior zone. 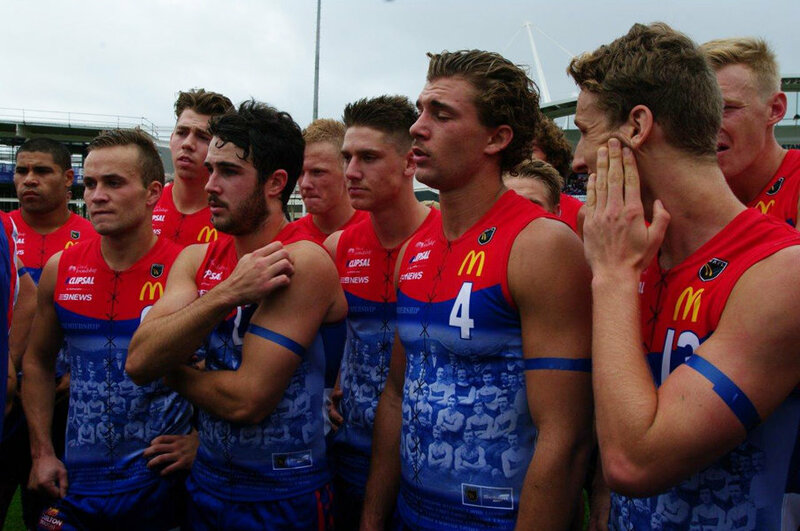 “In addition, Mum spent 15 years working at Notre Dame in Freo, and Mum and Dad are Dockers foundation members, so there are already strong claims to Henry down the Port. 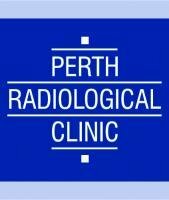 “Amid all that, in steps Fongy suggesting that West Perth may well be a red-blue compromise. And he points out that Clive coached the Cardinals (as they were then) in 1964 for a season. “All this footy talk may be academic however, as he might end up with his Mum's talents in the round ball game.